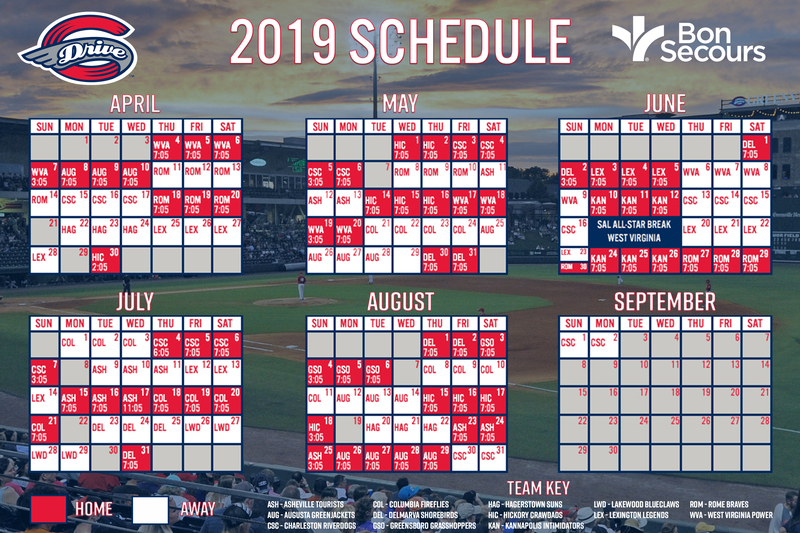 Thank you for your interest in asking the Greenville Drive to be part of your upcoming event. The Greenville Drive are excited about the high level of enthusiasm for the team and thank all of our fans. Due to the high volume of requests received, our organization has established the following guidelines to assist with donation requests. Donation Request Forms must be completed at least three (3) weeks prior to the event. Phoned in requests will not be accepted. Any incomplete requests will not be considered. Although we wish we could fulfill all requests, submitting a request does not guarantee that your organization will receive a donation. Donations are provided at the discretion of the Club and are primarily for the purpose of fundraising. Please refrain from sending multiple copies to different departments/contacts within the Greenville Drive office. Donations are required to be picked up at the Drive Front Office. Donations will not be mailed. The Drive Front Office address is below. Once your request has been processed, a Greenville Drive representative will contact you concerning your donation pick-up.